We started our company a few years ago as a professional international dog transportation business. The excellent quality of our services provided a solid foundation and maintained our position in a competitive market where trust is fundamental. From our returning customers, who laid trust in us over the years, an ever increasing demand arose along dog transportation for courier and relocation services. This is the time in an enterprise when expansion is necessary; to implement our experience from animal transportation, and our gathered knowledge about quality delivery service in a professional courier service. 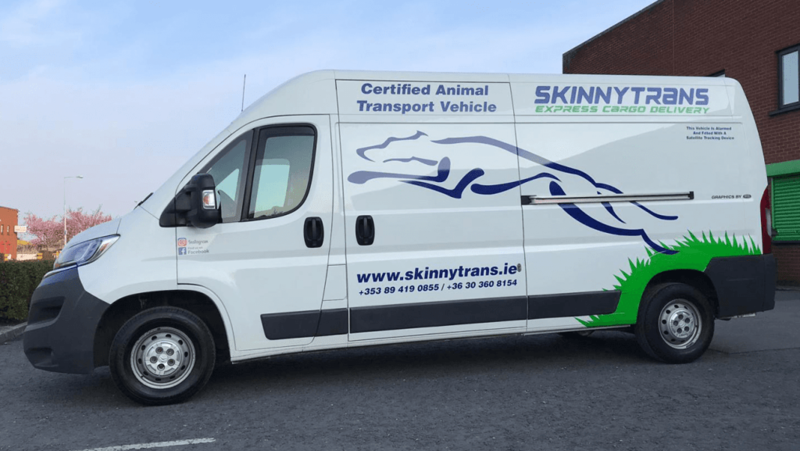 SkinnyTrans Express Cargo Delivery, in addition to pet transport, offers parcel delivery and relocation services in Europe, keeping Ireland-Hungary, England-Hungary routes in focus. In our express cargo delivery service, we stick 100% to our motto, `Punctuality and Trustworthiness`, just as we succeeded with our pet delivery service over the years with plenty of content customers. In our fast paced world in most cases many service provider gives similar services and the Irish-Hungarian delivery companies are no exception. 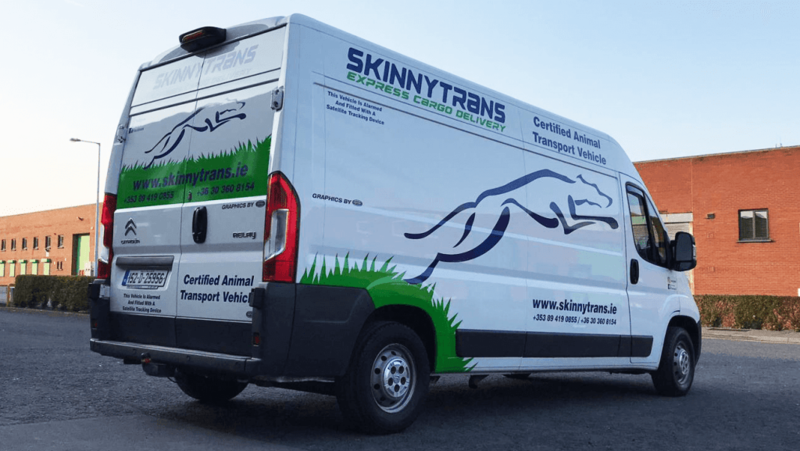 The question is, why would you choose Skinnytrans from the multiple Irish-Hungarian Delivery Companies? The answer is simple: because we do not only pick up your parcel at an Irish address and drop it on a Hungarian one, but we do it within a professional environment. Our vehicles are brand new and are maintained with the best possible care, our colleagues are skilled and experienced, our communication is professional. Skinnytrans is a delivery service, which is not just as a small firm, but a professional one. Our company works with the best of our abilities, to give You the service at the highest possible standard as an Express Cargo Delivery. Our company is working continously to connect Hungarians in Ireland and their loved ones back in Hungary. We aim to connect Hungarians in Ireland with each other as well. In light of this we try to promote Hungarians in Ireland with any way it is available to us, and promote their enterprises among our customers. Of course this list is not finished and we would love to show as many enterprise as possible. If you think you would like to be on our list, get in touch with us and we do everything we can to promote your enterprise in as wide audience as possible.